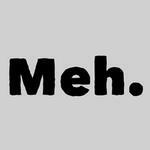 When your dog is feeling indifferent about something, the "Meh." Dog Shirt in Gray explains it all. 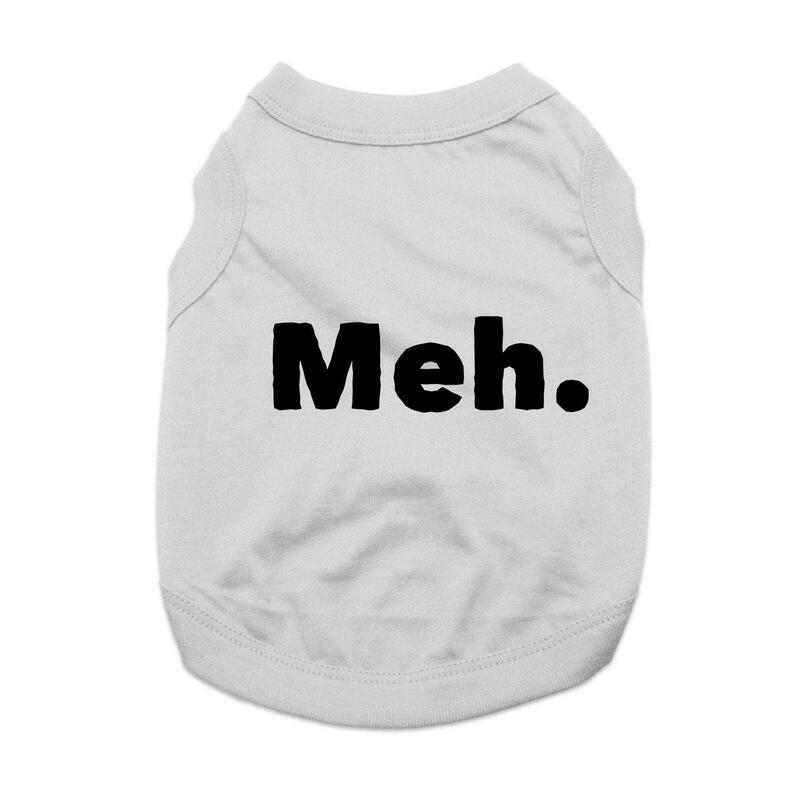 With a nod to contemporary culture, this humorous Meh Dog Shirt in Gray will explain your dog's apparent lack of enthusiasm. Created just for your pet in our BaxterBoo.com T-shirt Shop, this custom shirt will have all your dog's fans smiling. 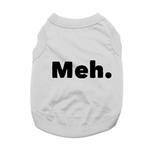 For dogs that have a consistently bored or "too-cool-for-you" expression, this is the ideal shirt. It will help your pet create the perfect post on their social media accounts and garner giggles at the dog park. This pet shirt is also appropriate for cats that most likely invented the expression. Our Angel is Spoiled and rotten. Love to kiss and eat. She has been wearing all your clothes for three years. However: since June 18th she was attacked by a dog. We are so lucky to still have her. She wears your clothes day and night now. She has spots that will never have hair growth. So thanks for the beautiful clothes.